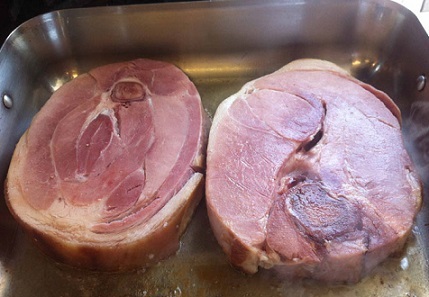 Let me begin this page featuring Ham Recipe with Red Eye Gravy by telling you I do not call this recipe Country Ham and Red Eye Gravy for a good reason. For this favorite restaurant recipe I don't use a true Country Ham. I use a good quality ham, however. 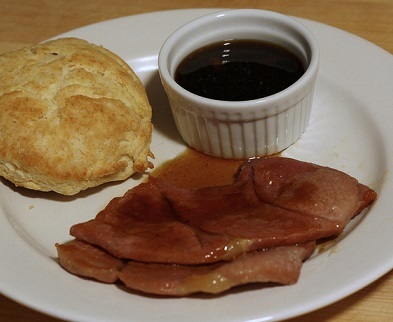 The Red Eye Gravy recipe is as close to the original recipe as you can get without using a true Country ham. So I simply call it Ham with Red Eye Gravy. 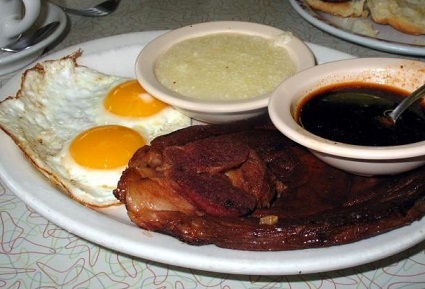 To understand the reason I say this, you should read the article, "Country Ham and Red Eye Gravy." Not all hams are created equal and there is no way the restaurant has the capacity to serve a true Country ham on a regular basis. For now, here is a very good recipe with red eye gravy. 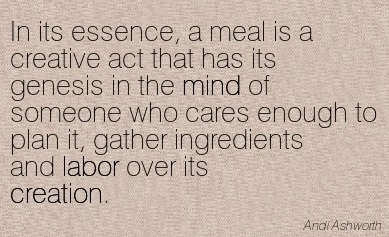 Whenever I serve it, the restaurant guests ask for more. It is a famous restaurant recipe, even in the Pacific Northwest. 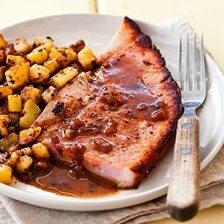 Enjoy your ham recipe with red eye gravy and the company of those you share it with! It is another famous restaurant recipe so you can cook with confidence and style.